As Managing Director of Hobbs Valve, Alun started the company with the purpose of making a TOV that was not only pioneering in a design that had been stagnant for decades but also that would be industry leading in terms of performance, reliability and longevity. 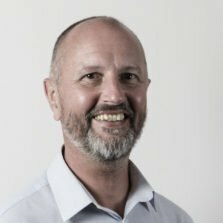 Alun’s experience within the industry is vast within an engineering capacity where early on in his career he demonstrated signs of brilliance amongst his peers and superiors. Many insightful years of experience later the Hobbs design was born. It was therefore designed and manufactured from a deep understanding of the issues that were generally inherent with existing TOV. Underpinning the design and manufacture was a sympathetic approach to the maintenance and spare parts replacement schedule. The worlds’ first TOV with a truly circular (not elliptical) obturator was first put into manufacture by Alun and his team in 2005.